Led by Dr. Bruno Lemay, the dental team at Desert Dental Alternatives believes that all patients deserve dental care that is personalized to their unique needs and desires. That is why we offer dental treatments that go beyond traditional solutions. A great example of this is MTM® Clear Aligners, which are a more discreet and convenient solution for minor alignment and spacing problems. This cosmetic dentistry treatment improves the appearance of the smile, and provides patients with a more comfortable treatment option. Dr. Lemay is happy to discuss the average MTM® Clear Aligners treatment timeline with patients from the Rancho Mirage, CA and Palm Springs, CA area to determine if this is a treatment option that is right for them. Treatment consultation: No treatment will be a success if it is offered to a patient that is not an ideal candidate, so the treatment consultation is one of the most vital steps of MTM® Clear Aligners treatment. Dr. Lemay will examine the teeth to determine if effective results can be achieved through this form of treatment. Ideal candidates for MTM® Clear Aligners include those with minor alignment problems, including crowding or other spacing issues. Creating a treatment plan: If a patient is a candidate, a custom treatment plan will be created to ensure that effective results are achieved. Based on measurements and digital imaging, Dr. Lemay will map out a treatment plan and order a series of custom aligners to be worn throughout treatment. Wearing the MTM® Clear Aligners: For optimal treatment results, patients should wear their MTM® Clear Aligners at least 22 hours each day throughout treatment. Although the aligners can easily be removed, this should only be done for eating, brushing the teeth, or drinking hot beverages. During treatment patients will progress through a series of aligners until the teeth have shifted into their desired locations. Maintaining treatment results: When treatment is complete, patients will need to wear a retainer for a period of time to ensure that results are maintained. Dr. Lemay can discuss the specifics of this with each patient, based on their unique circumstances. 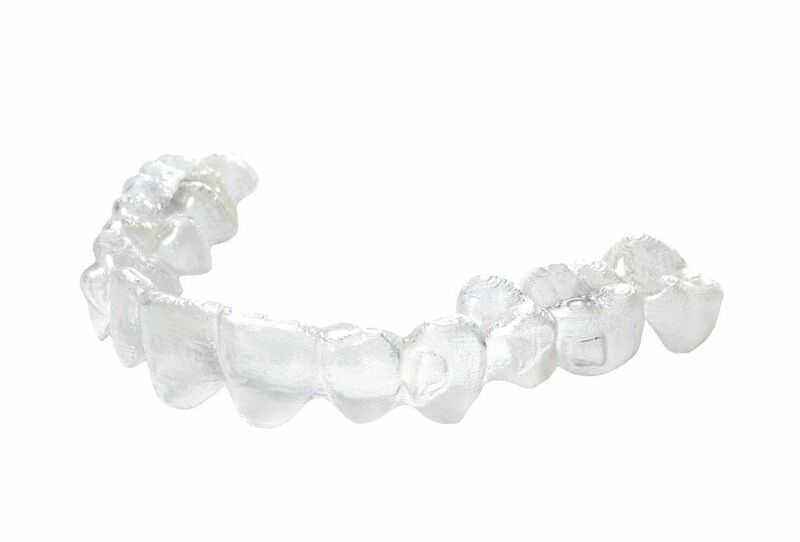 The most frequent question we get regarding MTM® Clear Aligners is how long treatment will take. Again, this is dependent on each situation. However, because MTM® Clear Aligners are focused on minor problems, treatment is typically fairly short, with some patients achieving results in as little as three to six months. If you have minor alignment problems and are looking for a convenient and effective way to straighten the smile, MTM® Clear Aligners may be just what you are looking for. We invite you to contact us at your earliest convenience to learn more about this teeth straightening treatment and find out whether it is right for you.